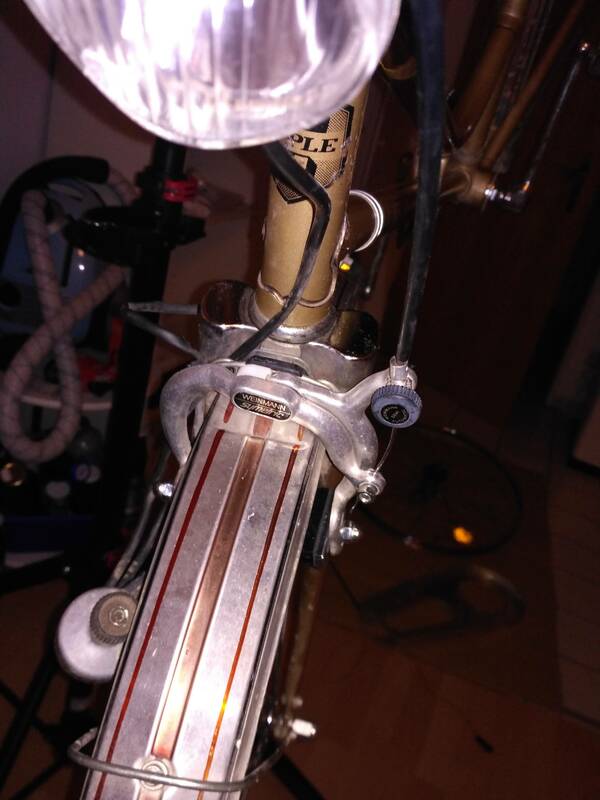 How to create tension in old upright handle bar levers / U brakes? 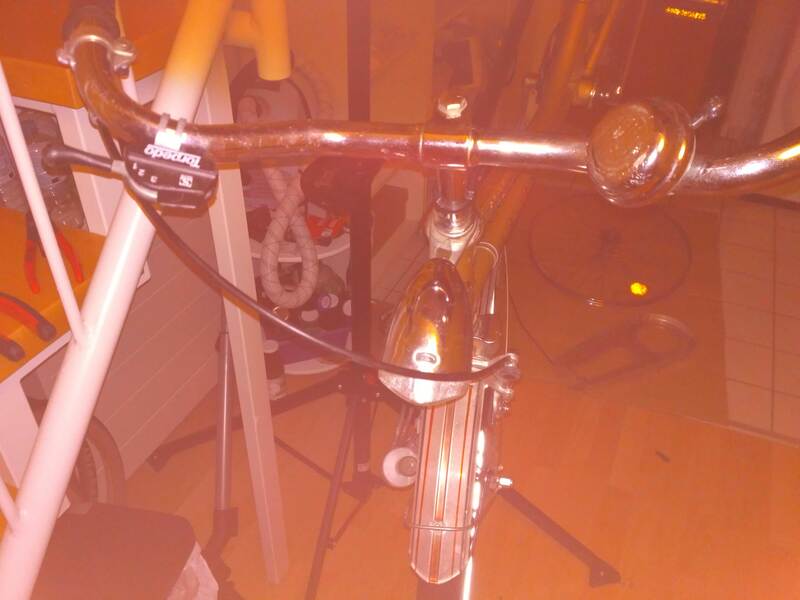 I have an old bike with a front brake "Weinmann Symmetric". It was not working very good as it stood in a garage for 20 years. I bought a new cable and new brake pads. I tried to pull as much as possible from the cable, while bringing the brake pads to the rim and the tightening the cable. But when I pull the brake lever it does not pool the brake nor return to its position. Well done for adding the video link - I saw the problem immediately. 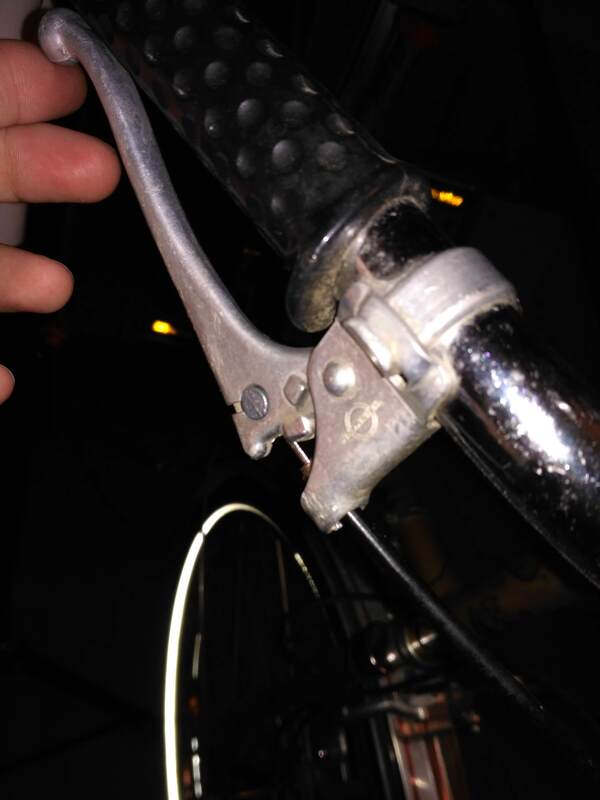 The problem is in a brake lever. The body of the lever must hold the outer housing and pull the cable through it. Your housing goes through the lever body and touches the lever, and is pulled by the lever along with the cable. You are missing the barrel adjuster mechanism on the lever that the housing fits in to but cannot pass through (it has a smaller hole for the cable). Not the answer you're looking for? Browse other questions tagged brakes vintage or ask your own question. Why do my rear caliper cable becomes loose after some squeezes in the brake lever? 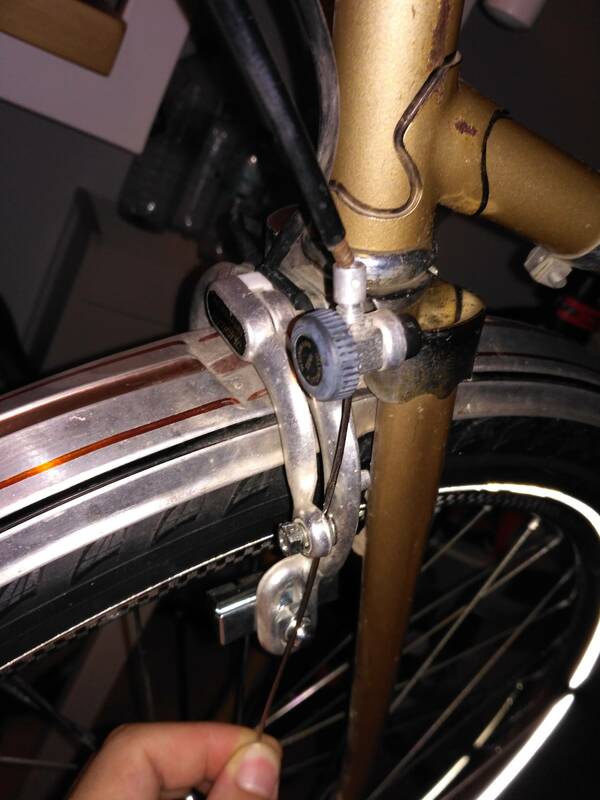 Rear brake cable temporary fix possible?